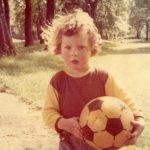 In August 1960, only ten years since first entering the FIFA World Cup – a competition initially dismissed by the FA, which refused invitations to enter the first three tournaments in the 1930s – England was chosen to host the 1966 World Cup Finals, ahead of Spain and West Germany. A then-record 70 nations entered the qualifying competition, although that number was significantly reduced by an African boycott, in protest at the continent not having an automatic qualification place. There were 16 final places available, divided into four groups of four teams each, assigned as follows: ten from Europe, four from South America, one from Asia and one from North and Central America. The top two nations from each group advanced to the quarter-finals, and the knock-out stages were to be decided by the drawing of lots if teams were level after 90 minutes and a further 30 minutes of extra-time, but fortunately this was not necessary. Venues were spread across the UK, from London to the North-East: the grounds used were Wembley, White City, Old Trafford, Villa Park, Hillsborough, Goodison Park, Ayresome Park and Roker Park. The draw, the first ever to be televised, took place at the Royal Garden Hotel in London and included seeded teams England, West Germany, Italy and holders Brazil alongside debutants North Korea and Portugal, both of whom had a significant impact on the finals. 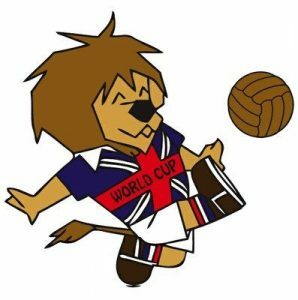 Another innovation was the introduction of the first tournament mascot – the competition was promoted by World Cup Willie, a lion sporting a Union Jack shirt. There was drama before a ball was kicked, when the Jules Rimet trophy was stolen in March from Westminster’s Methodist Central Hall, where it was on display as part of a stamp exhibition. Though the police followed up a ransom demand, and even made an arrest, the trophy was missing for a week before it was discovered by Pickles, a mixed Collie dog, while out walking in Upper Norwood, South London. His owner David Corbett collected a reward of nearly £5,000, while Pickles was named ‘Dog of the Year’, appeared on various TV programmes, and was invited to the England team’s celebratory banquet. Before then, the 1966 World Cup kicked off on Monday 11 July with the opening game between the hosts and Uruguay – a goalless draw which gave no hint of what was to come. Thanks Danny. Glad you enjoyed it – there’s more to come!